The new season means new prints like the Green Scarf Print Blouse. This long sleeve shirt features a classic scarf print on a soft satin fabric and has a full button down fastening. 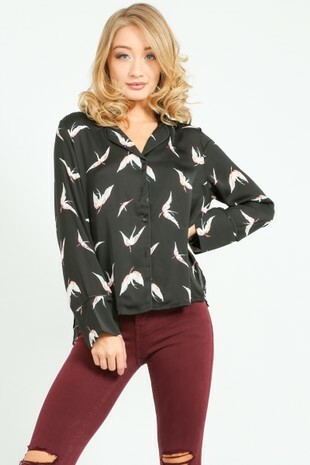 The perfect top for those jeans and nice top days paired with a some heeled ankle boots. You can also glam this up with a vinyl mini skirt and barely there heels.